A meaty Lamb Complete and Balanced raw meal. Great for assisting and maintaining a good weight. 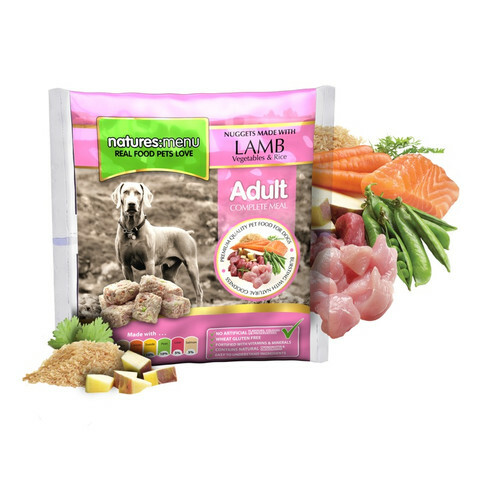 Lamb is a complete protein and is packed with healthy Vitamin A, B Vitamins including lots of B12 plus essential minerals such as Copper, Zinc, Phosphorus and Selenium. Lamb also has a unique fat content in that over half the fat (around 60%) is the healthy unsaturated type which is actually good for the body. Extracts of Green Tea and Grape Seed provide beneficial antioxidants which minimise free radicals and promote health.